Hui-Kuan Lin, PhD, studies genetic interactions and oncogenic and tumor suppressor networks that dictate cancer progression, metastasis and stem cell regulation. Using advanced biochemical approaches and genetic mouse modeling, his collaborations focus on developing small molecule inhibitors and novel targeting strategies for various cancers, including prostate, pancreatic, lung, liver and breast cancers. Lin earned a doctorate in cancer biology at the University of Rochester in New York. During his doctoral studies, he began his career interest in researching androgen and signal receptors in prostate cancer regulation. He continued these studies through his postdoctoral training in cancer biology and genetics at Memorial Sloan Kettering Cancer Center, using mouse models to explore prostate cancer pathogenesis. In 2007, Lin began working in the molecular and cellular oncology department at the University of Texas MD Anderson Cancer Center, and in 2015, he joined Wake Forest School of Medicine’s cancer biology department to advance his cancer research. 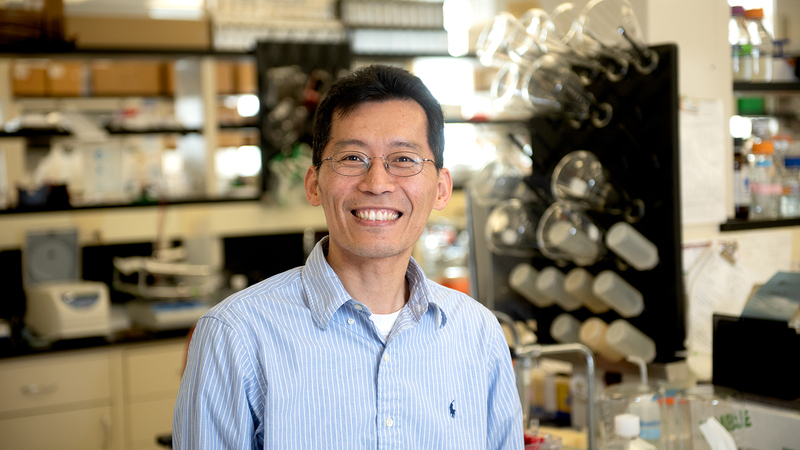 Understanding the role of diverse ubiquitination pathways in the molecular and biological processes of cancer signaling and progression underlies Lin’s research efforts. Using preclinical genetic mouse models, he studies genes that dictate cancer metastasis, regulation and drug resistance, with a specific focus on prostate and breast cancers. Through his efforts, he has made several critical discoveries, including showing that non-classical K63-linked ubiquitination serves as a critical signal for diverse growth factor-mediated oncogenic Akt activation and DNA repair signaling, identifying the role of the Skp2 E3 ligase in prostate cancer development in numerous mouse tumor models and developing the first Skp2 inhibitor with potent anti-prostate cancer activity. Lin’s other research efforts focus on developing small molecule inhibitors and therapeutic antibodies targeting oncogenic signaling for highly aggressive prostate, pancreatic and lung cancers and exploring the role of metabolism in cancer stem regulation, drug resistance and immune response. An expert in cancer biology and scientific discovery, Lin partners with industry to translate his expertise into clinical practice by developing and testing new agents and therapeutic strategies for cancer prevention and treatment.